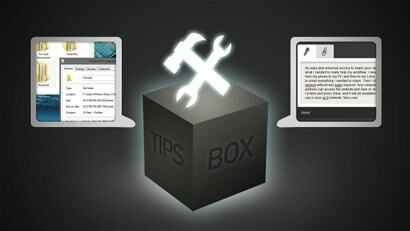 Readers offer their best tips for seeing file properties in Windows Explorer, turning an old radio into an iPhone dock, and sharing your clipboard between computers. Every day we receive boatloads of great reader tips. From the Tips Box is where we round up some of our favourites. Got a tip of your own to share? Add it in the comments or send it using the contact tab on the right. Just something for us chronically lazy types on Windows. 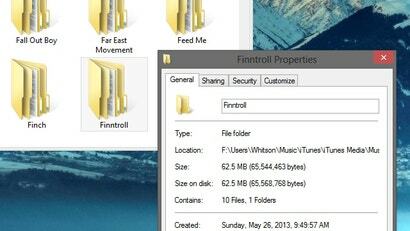 Alt+double-click on a folder name will bring up some property stats in a hurry. One of them is the size. What makes it happen even faster, is if you have single-clicking enabled in Folder Options. It comes down to where your hands are at any one time. It's highly barebones but it's usually all I want to know. I just made a cool project where I hacked a 75 year old radio. I had this old Philips 461A radio laying around. It didn't have much use because it could only receive AM signals. I always thought that old radios are pretty cool, so I decided to do something with it. Using some parts laying around my house I made it into an iPhone dock. In this electronics project I used a simple amplifier circuit, parts from an old speaker, an Arduino, some LEDs and a mini dock plug. You can check out the video to see it in action, or see my blog post for a full walkthrough with pictures. 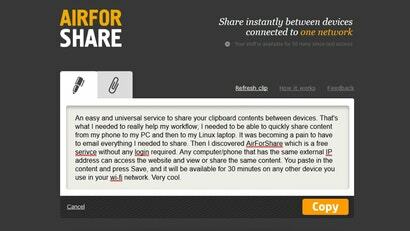 An easy and universal service to share your clipboard contents between devices. That's what I needed to really help my workflow; I needed to be able to quickly share content from my phone to my PC and then to my Linux laptop. It was becoming a pain to have to email everything I needed to share. Then I discovered AirForShare which is a free service without any login required. Any computer/phone that has the same external IP address can access the website and view or share the same content. You paste in the content and press Save, and it will be available for 30 minutes on any other device you use in your Wi-Fi network. Very cool. Hyshai has some other cool tips for automating it, if you've got a bit of scripting knowledge, over at his full blog post.